Contract Administrative Services supporting Real Estate and Financial fields. For nearly three decades, Dr. James Baker has been synonymous with excellent Chiropractic care. Settling in Polk County from Northern California years ago, he has brought a wealth of Chiropractic and nutritional expertise to our area. Constantly expanding his 'chiropractic horizons', Dr. Baker attends various classes and seminars to be on the cutting edge of treating his patients, be it babies, children, teenagers, or adults of any age. His philosophy is 'you never stop learning'. Dr. Baker has extensive training in sports injuries, being the former Chiropractor at North Carolina State University. He has treated professional and college athletes (baseball, basketball, and pro golfers). Dr. Baker's new, modern facility is set up to meet the patient's needs, be it the use of x-ray equipment, computerized muscle testing and range of motion stations, or physical therapy. 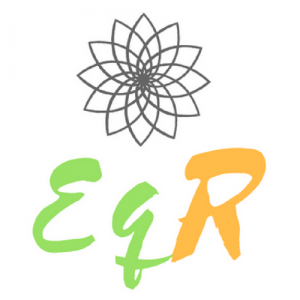 Rounding out Alternative Health Care, Dr. Baker is joined by Patricia Papagelis Daniel, a doctor of homeopathic medicine, an iridolist, and reflexologist. A graduate of the Medical University of South Carolina, Patricia offers dietary consulting, and solutions for a variety of conditions such as allergies, chronic fatigue syndrome, chronic pain, depression, digestive disorders, fibromyalgia, and weight management. Also joining Dr. Baker is Judie Fisher, a licensed massage and bodywork therapist who graduated from "The Whole You" School of Massage. Judie has been in practice for nearly seven years and has additional certification in medical massage protocols. Dr. Baker and his friendly, knowledgeable staff is available Monday through Friday, with emergencies handled after hours. Please stop by or give us a call. Members of the American Institute of Architects Actively Serving the Tryon Community in All Areas of Quality Architecture and Design Call Us Today at (828) 859-6006 Designing a home for your family, or a business complex for your growing company, is always an exciting challenge for us. When beginning a project such as this, there are quite a few things to address. We are here to help you along the way. When it comes to quality architecture and design we are here to supply our clients with the service and products necessary for the job. We work at a high level of integrity to provide satisfaction and quality service at an affordable price. We are uncompromising in our pursuit of excellence and dedication to our clients. We'll work together with you in managing the marketing of your property or helping to locate a sweet spot to carry out your lives and find as much happiness here as we did. We are a husband and wife real estate team that is working together successfully for over 19 years. 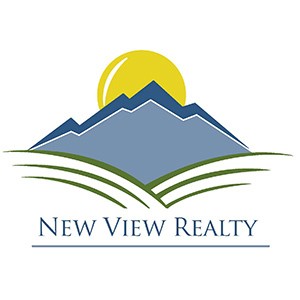 Living and working in the real estate industry and having properties for sale in the foothills of western North Carolina is a dream come true. Tryon, Columbus and Landrum are the prettiest little towns with the nicest, animal loving people. Serving you with all of your Custom Screen Printing, signs, banners, and promotional needs! Creative Cedar Homes, LLC Creative Cedar Homes, LLC is an independent distributor of Mod-U-Kraf Homes www.mod-u-kraf.com, Nationwide Homes www.nationwide-homes.com, Hand Crafted Homes www.handcraftehomes.com, Log Homes Of America www.loghomesofamerica.com, Ameri-Log Northern White Cedar Homes www.allamericanhomes.com and Pan Abode Western Red Cedar Homes www.panabodehomes.com. Mod-U-Kraf, Nationwide Custom Homes and Hand Crafted Homes offer a wide range of Custom Systems Built Homes including Ranch's, Cape Cod's, Colonials and Craftsman Style Homes. Log Homes Of America, Inc. offers whole log home packages ranging from 1,000 SQ. FT. to 4,500+ SQ. FT. Ameri-Log Homes offers Northern White Cedar Systems Built Homes ranging from 700 SQ. FT. Cabins to 4,000+ SQ. FT. Homes. PAN ABODE Cedar Homes, since 1952, has brought Custom Cedar Homes & Cedar Cabins of Post and Beam, Timber, and Log to life with innovative designs, cutting-edge engineering and Three unique Building Systems featuring Western Red Cedar & Douglas Fir. In addition to our Home Lines, Creative Cedar Homes, LLC is an authorized distributor of Sikkens and Perma Chink Stain Products, as well as the Solatube Day Lighting System. These products are designed to enhance and protect your investment giving you a beautiful, functional home. Creative Cedar Homes, LLC offers New Home Construction and Products in Western North Carolina and North Western South Carolina. Creative Cedar Homes, LLC Is Located at: 1795 NC 108 HWY E Hours: Columbus, NC 28722 Monday Through Friday 9:00-4:00 Phone: (828) 894-8148 Saturday 11:00-4:00 For more information, please visit our website at www.creativecedarhomes.com. Established in 1975, Dusenbury Insurance Agency is a 2nd generation, Nationwide Heritage Agency. Dusenbury Insurance prides itself in its high-quality customer service and expertise as well as providing a wide-range of insurance and investment products to meet our members needs. The Dusenbury Agency represents Nationwide Insurance and Financial as well as other companies in providing products such as Auto, Home, Life, Financial, Commercial, and Farm Insurrance. The Dusenbury Agency is a Nationwidie Agribusiness Farm-Certified agency and represents the largest insurer of farms in the nation. The Dusenbury Insurance Agency is a family business co-owned by agents Renae Dusenbury-Waldman and Trey Dusenbury. Renae Waldman has been a part of the agency for over 20 years and graduatied from Appalachian State University with a degree in Insurance/Risk Management. Trey Dusenbury has been an agent for over 10 years and graduated with a Business Marketing degree from NC State University. Joining agents Waldman and Dusenbury are Alejandra Mondragon, Veronica Pace, and Virginia Penland. Alejandra Mondragon is a bilingual, licensed Property/Casualty specialist and Veronica Pace is a licended Property/Casualty agent who also has a degree in Insurance/Risk Management from Appalachian State University. Virginia Pace is a certified financial planner who can meet your investment and life insurance needs. Call our highly-qualified experts today for free, no obligation insurance review and see why "Nationwide Is On Your Side." Established in 1975, Dusenbury Insurance Agency is a 2nd generation, Nationwide Heritage Agency. Dusenbury Insurance prides itselt in its high-quality customer service and expertise as well as providing a wide-range of insurance and investment products to meet our members needs. The Dusenbury Agency represents Nationwide Insurance and Financial as well as other companies in providing products such as Auto, Home, Life, Financial, Commercial, and Farm Insurrance. The Dusenbury Agency is a Nationwidie Agribusiness Farm-Certified agency and represents the largest insurer of farms in the nation. The Dusenbury Insurance Agency is a family business co-owned by agents Renae Dusenbury-Waldman and Trey Dusenbury. Renae Waldman has been a part of the agency for over 20 years and graduatied from Appalachian State University with a degree in Insurance/Risk Management. Trey Dusenbury has been an agent for over 10 years and graduated with a Business Marketing degree from NC State University. Joining agents Waldman and Dusenbury are Alejandra Mondragon, Veronica Pace, and Virginia Penland. Alejandra Mondragon is a bilingual, licensed Property/Casualty specialist and Veronica Pace is a licended Property/Casualty agent who also has a degree in Insurance/Risk Management from Appalachian State University. Virginia Pace is a certified financial planner who can meet your investment and life insurance needs. Call our highly-qualified experts today for free, no obligation insurance review and see why "Nationwide Is On Your Side." #1 Gutter Guard System Meet Your Team Sick of climbing your ladder and cleaning your gutters? Carolina Gutter Helmet?? and More has been proudly serving the Upstate and Midlands of South Carolina for over fourteen years from the same location to include: Greenville, Spartanburg, Cherokee, Laurens, Union, Newberry, Greenwood, Saluda, Lexington, Richland, Fairfield and Kershaw counties in South Carolina, and Polk and Rutherford counties in North Carolina. We are honored that our loyal customers have taken the time to share their positive feedback to us. Please check out some of our happy customers' reviews on Angie's List. We are also a member of the Better Business Bureau. Our knowledgeable staff look forward to serving you with the highest quality gutter protection product there is. We protect you rain or shine with Gutter Helmet?? shielding your gutters from dirt, debris, rodents, and pests, keeping your gutters free flowing. We also protect your home from sun damage with our exclusive SunShade Patio Awning line, available in over 100 colors and patterns. We are the exclusive dealer for not only Gutter Helmet?? and SunShade Retractable Awnings, but EcoView Replacement Windows, and we proudly carry Sunsetter Awnings. We are able to serve our customer base better through our two offices: Greer and Chapin in South Carolina. 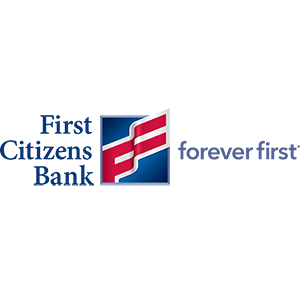 After more than 100 years of business, we at First Citizens Bank remain committed to finding new ways every day to provide the highest level of service to our customers. We know that we can't rest on our laurels because the successful bank that we are today is the direct result of the "customer-first" culture that we've created over the years First Citizens Bank has 2 convenient locations in the foothills to serve its customers.Be it the office at 80 Walker Street in Columbus NC or 144 N Trade Street in Landrum SC , our dedicated staff is prepared to serve all of your banking needs.For more information, visit our Web site at www.firstcitizens.com, call one of our local branches or reach us at 888-FCDIRECT. Employment and staffing office, for the employer and the employee. Alarm service and installation. CCTV Camera systems, cloud based access control, Audio/Video and technology integrations. Welcome Whenever you need expert service on your heating and cooling equipment, or a new system installation that saves energy and money, Forest City Heating & Air has you covered. Our friendly, continuously-trained staff is always happy to answer your questions, and we offer the reliable quality of Trane and Mitsubishi heating and cooling equipment to ensure that you get the most performance, value and peace of mind possible. Like the close-knit community we're named after, we believe in treating people fairly and making them feel at home. For a better experience from start to finish, Forest City Heating & Air is at your service. About Us Since 1972, Forest City Heating & Air has been committed to providing our customers with the finest professional service, installation, maintenance and indoor comfort control. We simply love what we do and enjoy the satisfaction and success that comes with doing it well. We specialize in: • Heating and air conditioning systems • Residential and commercial service of all makes and models • Gas furnaces and electric heat pumps • Equipment replacement • Preventative maintenance programs • New construction installation • Water Furnace geothermal systems • 24 hour emergency service • Indoor air quality systems • Free estimates on new equipment At Forest City, we believe it takes knowledge, technology and exceptional service to keep customers consistently comfortable all year round. That's why we're an independent Trane Comfort Specialist™ dealer, an honor earned by only a select group who meet Trane's rigorous standards for professionalism and technological expertise. And, as a Mitsubishi Electric Cooling & Heating Diamond Contractor, we offer the highest level of performance in ductless air conditioning and heat pump installation and maintenance. For high quality heating and cooling products and service available 24/7, think Forest City. Heartwood Contemporary Crafts Gallery is the perfect place for anyone who not only enjoys fine crafts, but likes to see and feel the small town atmosphere that makes Saluda, North Carolina special. Heartwood is located in the row of stores and businesses that make up Main Street; including a variety of fine restaurants, a country hardware store and a whole grain bakery. Regional and national crafts people of the highest caliber display their wares in a well lit, comfortable gallery that highlights the qualities of the work. You'll find delicate porcelain sculpture, pottery -- one of the finest collections in the region -- jewelry in all its forms, wood, garden sculpture, wind chimes, bird houses & feeders and original prints and paintings by the area's finest artists.The Gallery's focus is on a more contemporary collection. It is a destination well worth considering when you're looking for a special indulgence for yourself, your home or a friend. The drive to Saluda will remind you why you came to the mountains of Western North Carolina in the first place.Unique. Inspired. Extraordinary. Heartwood Contemporary Crafts Gallery. Only 45 minutes from Greenville, SC. Three Guest rooms. One Outstanding View. The Glassy View Bed & Breakfast is nestled comfortably on 12.5 acres in a secluded meadow where mist settles in the late evening and draws back with the rising sun. Breakfast is served in the privacy of your apartment or common area or on the porch overlooking the meadows and Glassy Mountain to the north. WELCOME TO WHITEWATER! Green River Adventures has several options for adding a whitewater adventure to your stay in the mountains – a must do! We offer half day IK (Inflatable Kayak) trips, full-day Kayak Instruction, guided hikes to some of the areas coolest waterfalls and swimming holes, Stand Up Paddleboard rentals, and more! Check us out on UNC TV's Weekend Edition We offer two options for guided Inflatable Kayak trips on the warm waters of the Green River – one perfect for those looking for a relaxed float with several fun, safe rapids, and one for adventure seekers. Our Lower Green River Adventure is a great fit for a large group with a variety of skill levels, families with kids under 12, or those looking for a more relaxed trip. The Upper Green River Rush is pure fun and adrenaline. It's perfect for anyone, regardless of skill level, who's looking for big rapids and big fun. We are the only company who runs trips on this section of river, so escape the crowds and experience something awesome! Reservation are required on all IK trips and Kayak Instruction. Call or email for availability and reservations. We are now located at 111 E Main Street in downtown Saluda, NC. Come check out our new outpost when you're in town. We build and repair affordable homes on the foundation of Christian love, where families are provided a secure environment and together, a community is established. Veteran owned and operated by Karolyn and Scott Hooper, Hoop's Antiques & Vintage Collectibles' goal is to become the recognized leader for the distribution of high quality and authentic antiques and vintage collectibles while contributing to the overall quality of life and development of the downtown Tryon community. We believe we have something for everyone in our shop with a selection of: European Antique Furniture, Polish Pottery, Home Decor, Fine Art and fun gift ideas. I've been a member of the Foothills community for almost forty years, and I am so proud to call this my home. I first came here as a student at Converse College, and made lasting friendships while enjoying the area’s diverse equestrian activities, riding, showing, and foxhunting. I still remember the thrill of jumping the hedges at the Cotton Patch Bottoms, the site of the 1956 Olympic selection trials. After graduation, I accepted a job galloping race horses for Tony Wallace at Fairview Farms, and made this my home. I married Tony in 1975, and together we managed and operated Fairview Farms, which was then the Upstate’s only thoroughbred racehorse training facility and the producer of such nationally known stakes horses as Eclipse Award winners Chris Evert and Turkoman. I have fond memories of trips to Saratoga and Keeneland for races and sales, and visits to such historic venues as Aqueduct, Belmont Park, Hialeah and Arlington Park, but my most treasured memories are of seeing a new crop of yearlings arrive at Fairview each year and helping them mature into young athletes. Tony and I raised our daughter, Megan, here. She inherited our love of equestrian sport, so for many years I was a horse show mom. Megan’s home bred pony, Remember the Laughter, was ranked third in the nation in the Green Pony Division, and went on to become first in the nation in the Large Pony Division with his next owner. I was also a stage mom, as Megan co-hosted a children’s television show for the local CBS affiliate, and starred in several Tryon Little Theater and Spartanburg Theater productions over the years. Megan later studied at the Lee Strasburg Theatre Institute in New York City, and received a Master of Arts degree in Producing from the National Film & Television School in London. Now an award winning independent film producer, she lives in London and NYC, but her heart remains here. In 2005, she staged a benefit performance of Noel Coward’s Fallen Angels at the Tryon Little Theater, and continues to look for ways to give back to the community that nurtured her passion for the performing arts into a career. When Tony retired from the management of Fairview Farms in 1995, I embarked on a new phase of my career, as a full-time Realtor. As an owner of Walker, Wallace & Emerson Realty, I now have the privilege of introducing others to the unique quality of life that drew me here so many years ago. My extensive knowledge of the equestrian world has been a great asset to my clients, because I know what horse people need in a property. Like all equestrians, I understand the importance of open space. I’ve seen far too many communities like ours swept away by the urban sprawl that follows in the wake of unplanned, destructive development, and I have made it my mission to protect and conserve the land and the community that I love. Greenspace of Fairview was my first conservation project. Located in close proximity to the Spartanburg/Greenville industrial corridor, Fairview Farms was a particularly attractive prospect for developers. In partnership with the late Herbert L. (Bud) Myers, a retired corporate executive and a passionate supporter of land conservancy efforts here and in Pennsylvania, I organized and managed a Regulation D Private Offering that culminated in the formation of Greenspace of Fairview, LLC. Our mission was to acquire Fairview Farms and to ensure the permanent preservation of its essential character as open space and horse country subject to very limited development. In 2001, Greenspace placed the farm under a conservation easement. Nearly two thirds of the property has been designated as commonly held open space, forever protected from subdivision and development. The remainder is comprised of shareholder owned, individual residential farms/estates ranging in size from 25 to over 50 acres, also subject to the conservation easement that prohibits subdivision and protects the essential rural character of the properties. As a result of our efforts, 1331 acres are now preserved and protected in perpetuity as Greenspace of Fairview, managed and enjoyed by thirteen shareholders who have adopted a stewardship plan to nurture and enhance the land. When we formed Greenspace, Bud and I intended to make it a model for future conservation efforts, and we were deeply gratified by the community’s response. In 2003, we worked with the owner of The Cotton Patch to preserve the historic venue where I spent so many happy hours as a collegiate equestrian. The 403 acre property is now under conservation easement, with two thirds of the farm designated as protected open space and the remainder devoted to limited residential development. Three more easements followed; to date, I have been successful in protecting over 2,000 acres from development. In 2005, I was honored with the Conservation Steward of the Year award from Upstate Forever, the land conservancy that holds the easements. My commitment to this community runs deep, like the roots I’ve put down here. 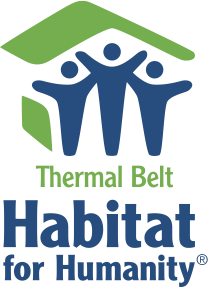 Walker, Wallace & Emerson has been a proud supporter of Habitat for Humanity. I am a past president of the Tryon-Polk County Board of Realtors, and a member of the Landrum Area Business Association and the Tryon Little Theatre Board of Directors. I have served on the board of the Foothills Equestrian Nature Center (FENCE), and each spring you will find me serving as a paddock judge at the Block House Steeplechase, a job that my late husband, Tony, performed for many years. I have made it a priority to support local land conservancies, community supported agriculture, and the “buy local” initiatives that are so essential to our quality of life here in the Foothills. This area is home to a dedicated and diverse group of residents who have joined together to keep it a very special place. In order to protect and better our community, we must continue to be active and caring participants in the inevitable changes that are coming, and to direct them in a way that respects the land, natural resources, and sense of community that make this such a special place. For me, it’s all about preserving the rural character of this area, maintaining and building a strong and stable environment for our local businesses, and protecting the quality of life in a small town that offers large opportunities. In 2015 Madelon received the Realtor of The Year Award from the Hendersonville Board of Realtors and in 2016 the Outstanding Citizen of the Year Award from the Carolina Foothills Chamber of Commerce for her leadership in the advocacy effort that persuaded Duke Energy to reconfigure its proposed Western Carolinas Modernization Project so as to preserve the distinctive environment that is so essential to the economy and quality of life in the Foothills. McFarland Funeral Chapel provides funeral and cremation services to the families of Western North Carolina and to the Upstate of South Carolina. Our handicap accessible, Williamsburg style facility features a Chapel that seats 235 and large, tastefully decorated visitation rooms which can be divided for smaller gatherings or services. 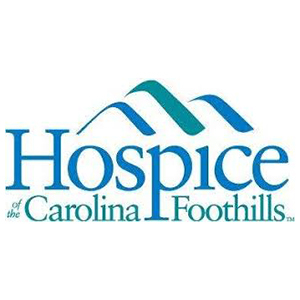 Our on-site crematory was one of the first serving Western North Carolina and the Upstate of South Carolina, assuring your loved one never leaves our care. From the traditional funeral to a simple gathering of remembrance, with prices to serve every family's needs, McFarland's strives to provide meaningful services celebrating life. We encourage you to browse the many choices and information available. We offer merchandise from two of the best known companies, Batesville Caskets and Doric Burial Vaults. We hope when the need arises you will give us the opportunity to serve your family. Our 104th Anniversary of Service Staff members of McFarland Funeral Chapel are caring and experienced professionals who understand that each family is unique and has personal requests and traditions. These requests and traditions are of utmost importance to everyone at McFarland Funeral Chapel. Welcome To Meadowbrook Golf Club where It's ALL about Golf...Friendly, Comfortable, Affordable. The North Carolina golf community is famous world-wide, and courses like Meadowbrook Golf Course are a big part of the reason why. Tucked away in the foothills of the Blue Ridge Mountains, Meadowbrook is built on the old Deck family farm. It has been family owned and operated since its inception in 1963. Here at Meadowbrook, you will find a friendly atmosphere in our fully stocked golf shop and snack bar. We offer a number of amenities such as men’s and women’s locker rooms, practice range and putting green, as well as professional instruction. The 6700-yard course rolls gently up hills and down through meadows with Henson and Davis Creeks creating challenging holes on both nines. The golf course at Meadowbrook Golf Club is characterized by its tree-lined fairways and abundance of water. Henson Creek, Davis Creek, and two ponds come into play on ten holes. All 18 holes have well maintained Bermuda tees and fairways with excellent bent grass greens. Stretching to just over 6700 yards from the back tees (blue) and offering 4 tee boxes, Meadowbrook's golf course is ready to test the skills of both young and old as well as the novice and experienced golfer. Morris Financial Services is a small, family owned business located in Landrum, SC that offers professional tax preparation and planning for businesses and individuals. We provide one on one consultations and personally tailored services that allow us to build long lasting relationships with our clients. We will work with you individually to satisfy you and your business' needs. Some of our business services feature monthly payroll, quarterly filing, and corporate return filing. Mountain Brook Vineyards Tasting Room Hours Friday–Sunday 1–6 pm Introducing our first wines! Welcome to Mountain Brook Vineyards. We are very excited to offer our first wines - a barrel fermented Chardonnay and a very small release of a Red Blend called Magis. Magis means "more" or "excellent." For our first vintage, we have made every effort to produce high quality wine from the best fruit available from our vineyard and from other select growers in North Carolina. This year has been especially challenging. The rainy weather has required hawk like vigilance in the vineyard to meet the challenges of downy mildew and other attacks on the fruit. We hope we have met those challenges and we hope you enjoy Mountain Brook Vineyard wines! Come join us and enjoy the splendor of Western North Carolina and Mountain Brook Vineyards! We love the way nature lights people up! So, we’re helping make sure that everyone has opportunities to get outside. We’re creating parks and preserves, building trails, leading field trips, and helping young people discover their connection to the great outdoors. We’re inspired by the beauty of mountain vistas, rushing waterfalls, and rolling countryside. We’re working to make sure that coming generations—our children and grandchildren—will be able to experience these wonders too. We live among some of the greatest biodiversity in the United States! We appreciate our connection with creatures from hellbender salamanders to monarch butterflies. And we love coming across so many unique wildflowers, animals, and birds. So, we’re helping to restore habitats where they can live. We know we need people—all kinds of people—to help protect this incredible part of the world. The challenges we face are serious, but it’s a labor of love. Be a part of it! We are dedicated to protecting and stewarding land and water resources vital to our natural heritage and quality of life and to fostering appreciation and understanding of the natural world. Conserving Carolina was formed in 2017 by the merger of two local land trusts with deep roots in our communities—Carolina Mountain Land Conservancy and Pacolet Area Conservancy. The two land trusts served overlapping areas. Pacolet Area Conservancy was founded in 1989, with a focus on the Southeast portion of our current region. Carolina Mountain Land Conservancy, which served the North Carolina portion of our current region, was founded in 1994 as the Natural Heritage Trust of Henderson County. After partnering successfully on several conservation projects, the two land trusts decided to join forces, combining our expertise, talents, and resources in order to strengthen our impact. NC & SC licensed Professional Geologist with over 13 years experience. Maintains $2M commercial, professional, & pollution liability insurances. Meets NCBLG requirements to operate as a PLLC. Personnel maintain OSHA 40-hour HAZWOPER, First Aid/CPR, & continuing Ed. By staying up to date with new technology, regulatory changes, & numerous industry connections; Peak HG provides our clients with value that exceeds cost through protection of liability, human health, & the environment. At Pee Ridge Vintiques we bring a unique blend of talents to search for antique and vintage pieces, we refurbish them to give them new life. We love the thrill of the hunt and fall in love with each piece of furniture that we find. We want to define the piece and bring out it's personality. We recently opened our showroom in the quaint upstate SC setting in Landrum. 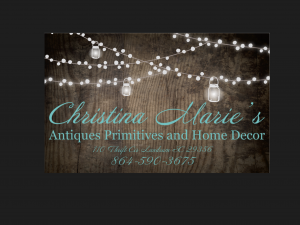 You can find us at 142 North Trade Avenue, Landrum, SC 29356. If you have a piece of furniture in your home that once had a place but no longer fits your current decor, let us take a look. We offer custom painting to give a facelift to those items for you to fall in love with all over again. 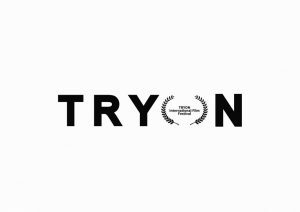 Our objective is to bring the world to Tryon, NC through efforts of the Tryon International Film Festival. We also strive to create a Camera Ready Community, connecting film and television productions with skilled county liaisons across the State of North Carolina and our region. We believe that the creation of a truly healthy Polk County requires that we work together to support and promote the physical, mental, emotional, social and spiritual wellness of each of our citizens and of the community as a whole. Price Services Heating & Air, Inc.
We are a full-service HVAC contractor providing quality work to your community. New technology combined with innovative design and standards support our commitment to our customers in providing effective and efficient heating and cooling systems. Our team of professionals have dedicated themselves to being knowledgeable about heating and air conditioning to bring you quality installation and service. At Price Services Heating and Air, we want to be your first choice whether you are installing a new system, servicing or up-grading your existing system, or any time you just need to ask a question. We want you to be secure when making comfort care decisions for your home and family. Also we do employee benefits, this is where employer can offer employee's benefits through payroll deduction. Plans offered are Life, Supplemental Health Coverage, Cancer Coverage, Accident Coverage, Critical Illness Coverage. We cover North and South Carolina. SCORE Western North Carolina serves 8 counties in Southwest NC. These are (east to west) Polk, Rutherford, Henderson, Transylvania, Jackson, Macon, Clay and Cherokee. One-one and team counseling sessions are by appointment. We are a tribe of oil loving fools! Empowered by natural solutions and committed to leading healthier lives. We are supportive, light-shining, fierce individuals who want to be a part of something bigger. Come on.. jump in.. the oils are better than you ever imagined. 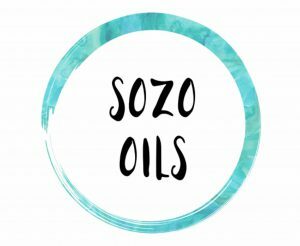 If you feel essential oils might help you or even better.. if you’re not sure, please connect with me and we can go over solutions for you and/or your family. However big or small of a step you are ready to take into using natural solutions, we have options that will fit you and your lifestyle! Starting Point Farm has nine acres nestled into a small valley along the North Pacolet River with views looking out over green expanses of a 100 acre turf farm. Only minutes from Columbus & Tryon, NC and Landrum SC (http://www.columbusnc.com/, http://www.cityoflandrum.com/, http://tryon-nc.com/), the location affords easy access to equestrian activities on three venues and including all disciplines of riding. In addition the farm is within 45 minutes of downtown Spartanburg & Greenville, SC and Asheville, NC all of which afford all the eclectic activities of any large metropolitan city...without the aggravation of traffic and high prices. Lush and mature pastures separate the home from the very functional 4 stall barn, complete with separate storage spaces for hay, farm equipment and tack. Stalls are roomy and complete with rubber matting, windows, fans and cribbing guards. The barn has both inside and outside wash stalls both with warm and cold water. Fenced with two turnout paddocks. 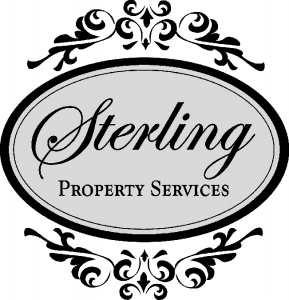 Sterling Property Services is a husband and wife partnership of Roger Ness and Sandy LeRoy, professional painting and decorating contractors since 1986. Roger is a master painter with formal training through a union apprenticeship program and more than thirty-five years experience. Sandy is a noted architectural paint color consultant and and professional stager. All painting clients receive a free color and design consultation. Please visit our web site to learn more about our services and what our clients say about working with us. For the past 90 years, The Tryon Daily Bulletin has published a daily newspaper covering the entire Thermal Belt community, a community crossing three county lines and two state lines. Readership studies show the Bulletin with nearly three times the readership of any other local paper. A 1995 survey of area leaders taken by the Polk County Community Foundation and the N.C. Cooperative Extension Service, Opportunity 2000, found the Bulletin is read more than twice as often as any other newspaper circulated in the area. Readership translates into sales response, and area businesses know it. The Bulletin is published five days a week, Monday through Friday, except postal holidays. Subscribers' copies are delivered by the U.S. Postal Service or from one of the 45 plus racks and vendors located throughout the region. The daily press run averages 4,500 copies. The Tryon Daily Bulletin is historic, and unique. 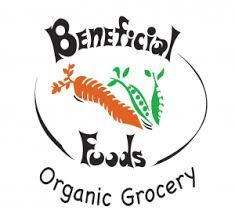 It was founded in January, 1928 by Seth M. Vining and was published by his son, Seth Jr. until 1989 when it was bought by the present owner, Jeff Byrd. In 2010, the Bulletin became part of Boone Newspapers Inc. The Bulletin is a part of North Carolina folk lore, having been known as the World's Smallest Daily Newspaper since the 1930s, due to its small format. The paper started out the size of Reader's Digest. Tryon Swim Club is a members only pool located in Tryon, North Carolina. For over 30 years, the Club has provided members with a great facility for exercising and a place to meet friends. The pool is open 24 hours a day, 365 days a year, to allow members to swim or exercise on their own schedule. Many of our members use the pool for lap swimming, but others use the facility for rehabilitation after a surgery or injury. The limited membership of the Club means that you can find a time during the day when you can exercise alone or with a small group of friends. Business Hours: Shows are Wed - Sat at 7:00 pm and Sun 3:00 pm. Film Society films are 2nd and 4th Mon and Tues at 7:00 pm and are open to everyone. Built in 1938, the Tryon Theatre is an independently owned and operated movie cinema located in Historic Downtown Tryon, NC. We show first run movies Wednesday - Saturday nights at 7:00 and on Sundays at 3:00. The Film Society offers an artistically challenging mix of foreign and independent films to the region on the 2nd and 4th Monday and Tuesday evenings at 7:00. Admission price for the evening shows is $8.00 and the matinee price is $6.50. Occasionally we have special event pricing. Check our website for details on a specific show: www.tryontheatre.com. Our concessions include fresh popped popcorn, classic theatre candies, nuts, fountain soft drinks, beer, wine, waters, coffee and other snacks. Southeast. Three interior galleries provide more than 3000-sq. feet of exhibition space and feature innovative shows that change every two months. Custom Workroom Technical Center or "Workroom Tech" is a new training center dedicated to the custom workroom industry with weekly hands-on classes for custom window treatments, upholstery and slipcovers. Classes are offered for all skill levels with programs to help people discover new career opportunities or hone their skills. Workroom Tech is owned and operated by Susan Woodcock and Rodger Walker, owners of Home Dec Gal and producers of Custom Workroom Conference. 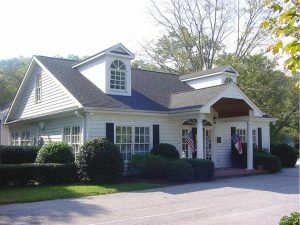 Located in the foothills of the Blue Ridge Mountains in Tryon, NC, Workroom Tech is at the center of a charming town, within easy walking distance of restaurants, shops and galleries. “We hope to fill the gap in training opportunities for up-and-coming workrooms, and to provide continued education for established professionals” said Rodger Walker. “Students come from all over the United States to learn in a real workroom environment, creating projects with professional tools and supplies and with small class sizes for the best learning experience”. In addition to Susan Woodcock, instructors currently include Monique Becker, Cynthia Bleskachek, Penny Bruce, Donna Cash, Deborah Cronin, Annie Davis, Jeanelle Dech, Rosemarie Garner, Ann K. Johnson, Nancy Letts and Emily Pettit. 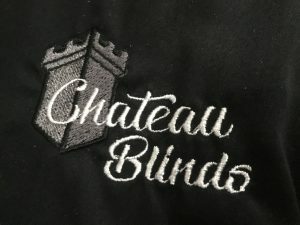 According to Susan Woodcock, “as small business owners, our instructors have so much to share in addition to their workroom talents. There really is no better way to learn than hands-on with an industry professional”. Private training and personalized class programs are also available. Visionary design and development of mobile responsive websites, and custom applications on the web and the cloud. Foresite Web Design helps clients get the right information to the right people at the right time. The ForeSite Consulting also offers professional consulting services to help communities and heritage areas PRESERVE, MANAGE and PROMOTE their Natural, Cultural, and Historical Resources. Make-up for your active lifestyle! Representing buyers and sellers in the Carolina Foothills since 2010. All of our Agents are licensed in NC & SC. Walker, Wallace & Emerson Realty is the Carolina Foothills area’s oldest real estate firm. Since our predecessor, The Walker Agency, first opened its doors in 1964, our firm has sought to embody the very best in service to our clients, our customers, and our community. We live in a fast-paced world today of electronic communication and automated response. And while many modern inventions have brought a great deal of convenience to our lives, there is still no substitute for hands-on interaction when it comes to buying or selling a home or relocating your family to a new community. Whether you are into the latest in social media networking or whether you are old fashioned and like your anonymity, we are here to serve your needs. By uniting modern technology and innovative sales techniques with a tradition of quality personal service and individual attention WWE has created the perfect balance of old and new in the industry . . . real estate for the new millennium. Contact WWE Realty today and find out first hand why. Continuing a tradition of service dating back to 1928, Main Street Financial Group serves Polk and Rutherford Counties with a full line of insurance and investment services.Our insurance agency, Brady Insurance, was founded in 1928 by R. Holland Brady, Sr., and continues under the leadership of his grandson, Stephen Brady. Our commitment to personal service, professionalism, continuing education, and technology have made us the largest agency in Polk County; we serve thousands of our neighbors with home, auto, business, life and health insurance from many top-rated companies.Brady Insurance is a proud member of the North Carolina Association of Independent Agents.Our investment advisory firm, Main Street Financial Group, is at the forefront of the national trend away from transaction-based brokers to fee-based advisors. Our advisory does not sell products that pay us a commission. Instead, we match clients with low-cost investment solutions that are appropriate for their individual situations.We offer investment supervisory services, fee-only investment advice, estate planning, and other services related to investing and financial planning.For more information, visit http://www.mainstreetfinancialgroup.com, our Web site. You will find full information about our firm, as well as a library of over 80 easy-to-read, educational articles covering a wide range of financial subjects; powerful financial calculators; timely newsletters; a glossary of financial terms; and a full-function quote service - all free, of course.Call, visit us on the web, or stop by our office located in the heart of downtown Tryon. You may be surprised at how affordable small-town service can be. Blinds, Shades, & Shutters.. Customized To Fit Your Window Treatment Needs. Certified Hunter Douglas Dealer..Certified In Sales, Installations, & Repairs. Other Brands... Pinnacle, Caco, Alta, Graber. Custom Shutters With PowerView Motorization. Light Control For Proper Room Illumination. General contractor specializing in equestrian facilities. Vroman Graves Associates delivers affordable, innovative brand solutions through original design that enhances your image and positions your firm for sustained competitiveness. Founded in 1991 by Thomas Vroman and Dean Graves, we are a full service marketing communications firm specializing in all phases of design and development of apparel, branding and logos, brochures, web, packaging, trade show and advertising. Drawing on the collaborative interaction between client and designer, we tailor the design process to your unique requirements. We are passionate about what we do and by listening to your needs, we develop creative solutions that endure. Monetta Farrier @Tryon is a full-service farrier supply, family owned and operated serving the Foothills area. MF@T has a comprehensive line of merchandise encompassing most brands. The Berardo-Daye family is proud of the quality customer service provided in both the Aiken and Tryon equine communities. After experiencing a rapid deterioration of my bones, in my 40's, I am full of gratitude to have VIBRANT HEALTH in my 50's! A severe, chronic inflammation limited my ability to walk. I had to use a wheelchair for five years. The inflammation affected my ability to process thoughts; therefore, I could no longer work, thus resulting in being placed on permanent disability. Not only was my physical body deteriorating but also my mental and spiritual. I often asked myself, "If this is it, if this is my life, then why live it?" I wanted to choose death over a life of constant pain and illness. And I almost did. However, I found my inner strength, my inner self, and my Angels. I Chose to LIVE. On my quest to regain my health, I discovered Frequency can repair and rejuvenate our cells (organs tissues and brain). With the help of vibrational medicine, BEMER changed my life. I believe if the BEMER helps me, it helps Horses too. BEMER Vet is a physical vascular therapy assisting the CELLS to REPAIR rapidly. A signal penetrates the entire horse to supply ENERGY! The BEMER signal has a positive influence on your horse’s entire body, and effectively stimulates the parasympathetic nervous system. It is also responsible for the stimulation of “rest and digestive” activities. The application of BEMER before training, competitive riding, or transportation aids in the tranquility and comfort your horse experiences. Through the use of BEMER Vet products, your horse will benefit from faster recovery, regeneration of muscle tissue, and more efficient hydration. Although I currently have metal rods throughout my spine, Today, I am a walking miracle. BEMER changed my life and brought out a passion to share this healing with others. I look forward to share BEMER with Horses and their Human companions! KidSenses Children’s INTERACTIVE Museum is an 11,000 square foot informal learning center which engages families with young children through fun, hands on exhibits and programs. In addition to the museum building we also have a 7,600 square foot Discovery Garden. The museum houses fourteen exciting and stimulating exhibit areas, and offers numerous programs in science, technology, engineering and math (STEM), the arts and more. By design, the museum’s programs and exhibits support and reflect the North Carolina core elementary grades curriculum standards. We provide outreach and on site programming for schools, Scout groups, churches, day care centers, libraries, and home school families from a fifteen county region in western North Carolina. The museum is currently developing plans to create a second facility entitled, THE FACTORY. Our current visitor profile consists primarily of families with children, from infants to age ten. We are planning an expansion to reach youth in their tweens and teens – age eleven and up. This is a very different age group which requires a different kind of museum facility to engage them. Our new 8,400 square foot addition will be called: THE FACTORY. THE FACTORY will be a special place where youth can meet friends, ask questions, share ideas, make things, and pursue their passions. What they make and do will not only reflect their own personal interests, but will also provide connections to future aspirations. Increasingly, jobs in our region are going to reflect a STEM based economy. THE FACTORY will provide our children the opportunity to acquire the knowledge and develop the skills necessary to succeed in this future work environment. When the expansion is completed the Museum will comprise a 26,000 square foot campus. Retail Wine Liquor & Beer Sales. Wholesale to Restaurants & Bars. I sell Real Estate for Berkshire Hathaway in both North and South Carolina! UptownGirl Salon has been serving the community for 26 years. We offer many services such as haircuts, color, chemical smoothing treatments, waxing, conditioning treatments. Airport shuttle service to the local major airports (AVL, GSP, and CLT). Travel in style with the "Coolest ride in the Carolina's"...The Van in Black! For residents and visitors of Columbus, Polk County and the surrounding area, local, not-for-profit Mercy Urgent Care Columbus provides high-quality, affordable and convenient medical care for non-life-threatening illnesses and injuries at a fraction of the time and cost of an emergency room visit, seven days a week. Known for its compassionate and affordable care, Mercy doctors, nurses, and support staff care for 60,000 men, women, and children annually. To date, Mercy Urgent Care and Mercy Occupational Medicine have served more than one million patients in Western North Carolina. Supporting the residents, visitors, and employers of WNC is a top priority, and to do this effectively, Mercy Urgent Care, as an independent provider, accepts most major insurances including Blue Cross Blue Shield North Carolina; offers a self-pay option for those without insurance, with simple, tiered “fee for service” pricing; and has a Compassionate Care financial assistance program for qualifying patients. Donations to not-for-profit Mercy Urgent Care’s Catherine McAuley Mercy Foundation enable a half-million dollars in charity care locally and internationally each year. Mercy Urgent Care is in Columbus, Brevard, Burnsville, Weaverville, and three Asheville locations and is only closed on Easter, Thanksgiving, and Christmas.